Celebrate Tim Burton's masterpiece - one drink at a time. 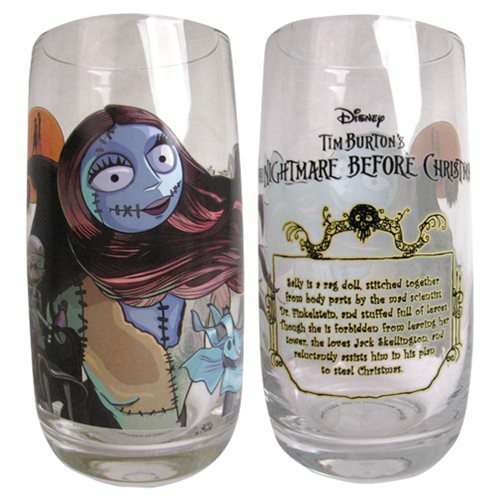 This sleek tumbler features artwork from one of the most beloved films, The Nightmare Before Christmas and features none other than Sally! Package in a full-color window box. Glass measures approximately 6-inches tall. Hand Wash Only.